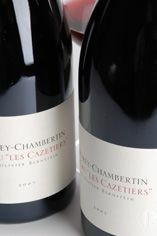 Burghound - Gevrey-Chambertin 1er Cru les Cazetiers is a step up in aromatic complexity with more subtle wood spice adding nuance to the dark fruit, game, smoke and warm earth notes that are also picked up by the rich, full-bodied and well-muscled flavors that exude an underlying minerality and plenty of extract on the moderately austere but explosive finish. The toast comes up on the finish as well but the amount of dry extract here is admirable. Jancis - Expansive and broad on the nose. Very grounded - maybe just a touch of oak but great purity and frankness. Tannins tighten up on the finish. 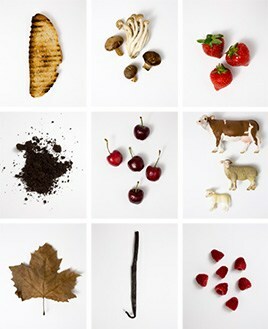 Fresh and lively. Scrubs the palate nicely! Maybe very slightly light on the finish. Olivier Bernstein is a new name but one that is unlikely to be overlooked for long. This self-styled 'micro négociant' doesn't bother with wines as lowly as those labelled Bourgogne or with a simple village name. He produces only six premiers crus (two of them white) and four grands crus, helped substantially by Richard Seguin of Gevrey-Chambertin, who, as part of the same family as own Domaine Dugat-Py, has access to some superb vineyards, many of them with 70-year-old vines. 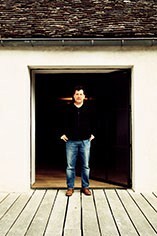 Born in Touraine into a family of music publishers, Bernstein studied viticulture and oenology in Beaune and claims particular inspiration while working briefly with the late Henri Jayer in 2002. This initially led him to acquire and renovate Mas de la Dévèze in Roussillon, where he is based (to judge from his car licence plate), but he now spends much of his time on the six-hour journey between Tautavel and the modest cellar rented from Seguin in a Gevrey backstreet.